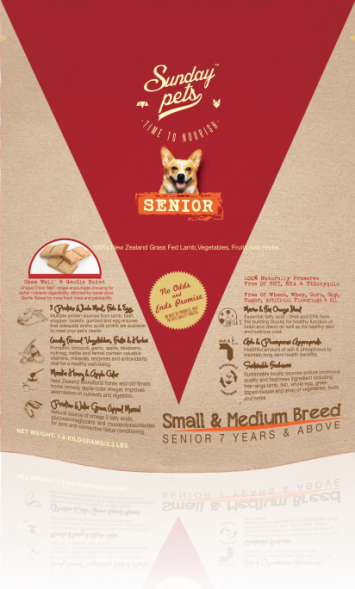 Whole Life Pet - Grain Free Whole Life Treats for Dogs and Cats Making healthy treats for your pet is our passion I've always loved pets and had dogs as long as I can remember. I've also always loved eating healthy and learned that flavor does not ever need to be compromised. 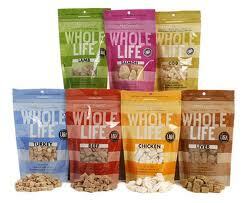 Our mission at Whole Life Pet is to produce the healthiest, best tasting treats possible for your dog and cat. We do that by using only the highest quality human grade ingredients, by producing exclusively in the USA and most importantly, by what we do NOT put in our treats. Simple defines us. Simple recognizable ingredients, simple formulations and minimal processing to maintain the purity and integrity of every ingredient we use. When you feed your dog or cat a treat, it should make them light up. 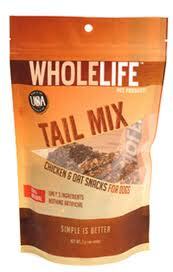 We guarantee Whole Life Pet treats will make your pets smile. 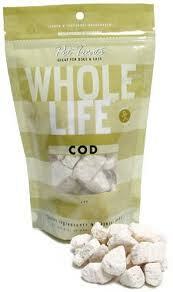 We are very proud of the quality standards used in the sourcing, production and packaging of our products. We take it seriously and believe our standards to be higher than any of our competitors. The meats used in our products are all raised in the United States with two exceptions. We use Cervena Venison in our pure meat line which is sourced from New Zealand. We use Cervena Venison because it's the highest quality venison in the world. We also use Argentinean Beef because we believe it to be a superior source of free range grass fed beef. Our salmon fillet and cod are both wild caught, not farm-raised due to the higher quality nature of wild caught vs. farm raised fish. 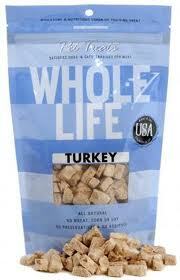 All the non meat ingredients we use in our products are sourced in the USA. 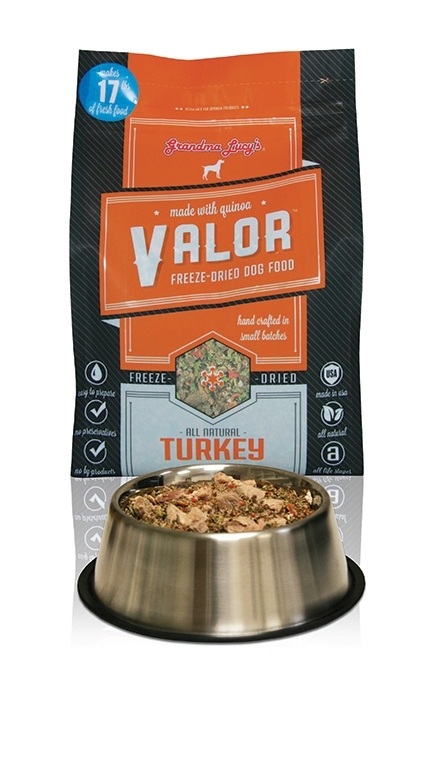 Our products are freeze-dried by the same facilities that freeze dry foods for human consumption and therefore under strict USDA inspection and supervision. We use these same meats in our biscuits, which are called Comforts and also our natural food topper called deVour. This allows us to ensure the highest quality standard and know where our meats come from in all our products. Most other companies rely on the manufacturers that produce their treats to source meat for them never knowing where it comes from and without any control over quality. All packaging and shipping is done in the USA in our own facility in Western Massachusetts.